First the Sugar Tax – now the Health Tax! Government wants it both ways on health. 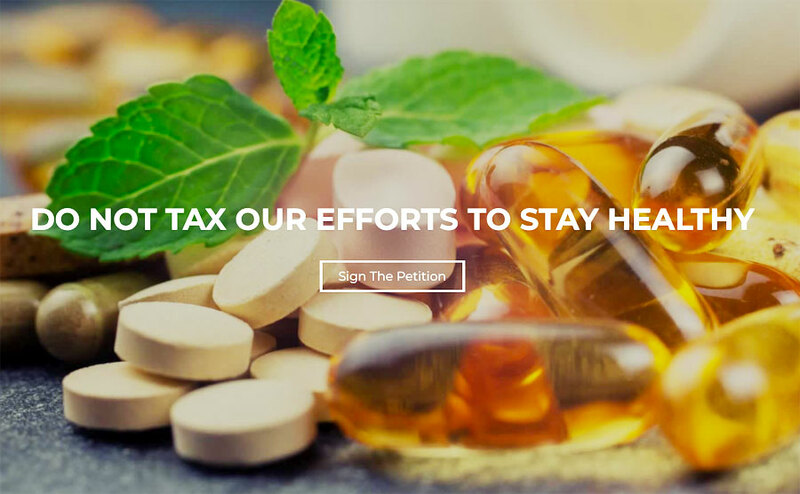 In news which has sent shockwaves throughout the entire health and vitality sector, the Minister for Finance is reported to be eyeing up placing a flat rate of VAT on the majority of health food supplements by March 1st, 2019. Food supplements would include everything, from your common multivitamin to keep a little pep in your step to Glucosamine Sulphate to help with achy knees or Vitamin D which is recommended for babies and supplementation during our long winter months. With the need for over 55s to keep healthy and maintain employment for social and economic reasons, diet, exercise and nutritional supplements have become key areas in supporting general well-being. Up to now all these products have been treated rather benignly by successive governments and they were not treated as luxury items – which is where most consumer purchases would incur VAT. Today however we have learnt that Revenue wish to treat supplements in the way that other luxuries are treated and that some degree of tax will be imposed upon their purchase, whether it be 13.5% or indeed the upper rate of 23%. Given the historical statements of Leo Varadkar on the issue of resourcing preventative healthcare, this is seen as a somewhat contradictory stance for the government to take up now. Speaking on the Health (General Practitioner Service) Bill 2014, the then Minister for Health Leo Varadkar is quoted as saying –“This particular measure is the keystone of the Governments policy in the area of primary care…… we are shifting the focus of healthcare from hospitals to the community, and from treating illness to maintaining good health“. Revenue have previously offered that the justification for this move was to harmonise our treatment of these products with European tax code. Ciaran Hurley, tax advisor, says “this is just not the case. We have been here before with herbal teas with the same arguments. In that case the Government backed down from applying VAT”. Health food retailers say that their customers will see it to be more a case of the government looking for yet another easy way to tax the consumers pocket and they will vehemently resist this move. While we wait for a formal announcement at Budget 2019 or the Finance Bill, it is certainly expected that yet again consumers are being required to pay more for something which the Government should encourage rather than tax. Matt Ronan from Evolv Health Store in Enniscorthy says “we expect there to be a wave of customer anger when it’s explained to people that products which they consider to be necessary to maintain their health are now to be taxed by a government that is struggling to provide a decent healthcare system”. Alan McGrath, Health Stores Ireland, which represents the retail health food sector, said “the application of the Sugar Tax and the setting up of support bodies like Healthy Ireland demonstrate that maintaining good health is a clear policy for Government, this policy should not be contradicted by the taxation regime. 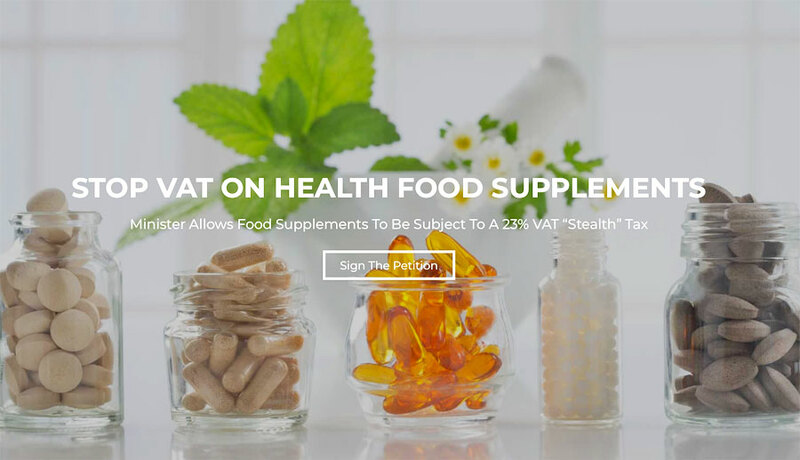 Applying VAT to food supplements would be completely inconsistent with the way they are regulated and with current Government policy on health”.